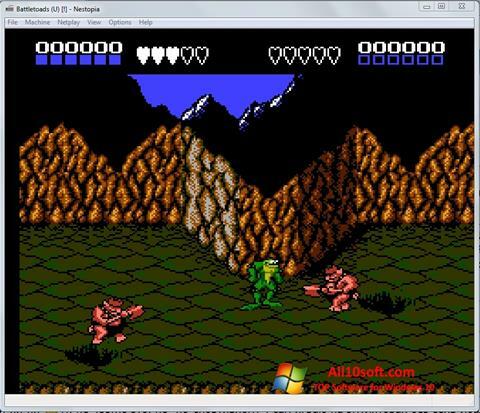 Nestopia for Windows 10 - emulator utility designed to run console games. The manager provides all the necessary functions: automatic saving, creating a database, simulating NTSC or PAL systems, auto-adjusting the screen resolution. The application automatically restarts the computer in the same way as the console. Supports network mode, allowing you to play with friends. You can free download Nestopia official latest version for Windows 10 in English.